Imagine what life would be like without a modern plumbing system. How could we cope without running water or flushing toilets? Water is the most essential nutrient for life on earth. It literally forms the foundation of a healthy diet and our modern-day standard of living. The world today with its large, high-density population could not maintain life as we know without a modern plumbing system that delivers clean, wholesome drinking water and sewage systems that remove the contaminated used water. How did our modern plumbing system evolve? What civilizations were most important in the development of today’s plumbing systems? 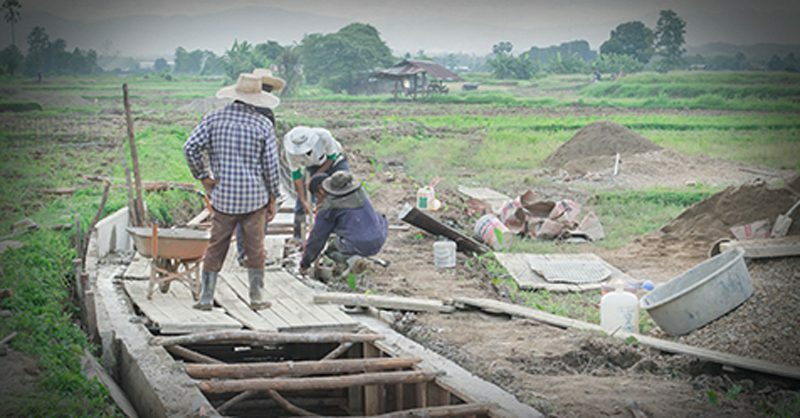 The earliest agricultural societies date back around 10,000 years. People settled along the banks of rivers that served as both a source of fresh water and a sewer. As long as populations remained small and isolated, and as long as they secured their drinking water upstream, the circumstances were acceptable. As populations grew, however, it became ever less acceptable. Our earliest ancestors were not aware of the health consequences of poor sanitation, but the stench and human reflex to back away from waste no doubt led them to devise ways to remove it from their presence. Traces of crude drains and cess pits date back as far a 6,000 B.C., with some of the earliest findings coming from excavations in a region that is now Pakistan, where buildings were discovered with crude latrines and drains beneath the floor. Centuries later, in 2,500 B.C., Egyptians are credited with developing a system of copper pipes to construct elaborate indoor bathrooms in pyramids. They also used this same ingenuity to build detailed irrigation and sewage systems for public use. Ruins of homes in ancient Egypt display small, private detached rooms presumably used as privies. 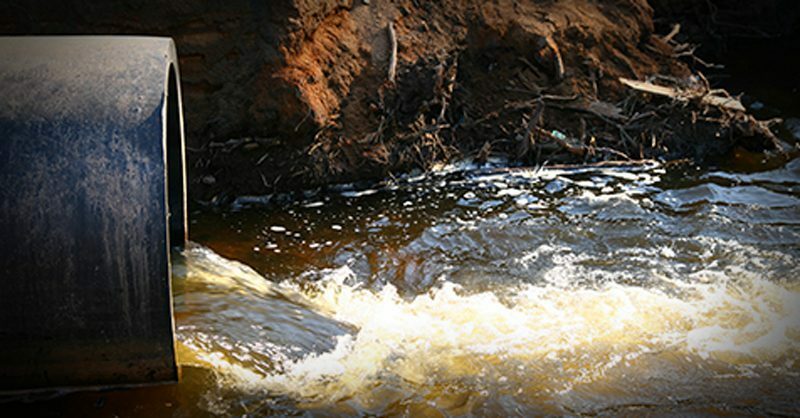 Waste was carried away by water running through man-made channels from nearby rivers. We see evidence of cisterns on the island of Crete around 1,500 B.C., which allowed for storage of rainwater until it was needed for drinking, washing, bathing and cooking. Under the reign of King Minos, the people of Crete also created elaborate sewage disposal and drainage systems with underground channels. The Greeks mastered the science of hot and cold running water. Apparently. the technology was meant for athletes to bathe after their Olympic games. No ancient society advanced the technology of plumbing as much as the Roman Empire. The glory of Rome lay not only in the roads they built and their system of law and order. To this day, the Romans are thought of as some of most accomplished plumbers in history. The first sewers of Rome were built between 800 B.C. and 735 B.C., preceding the first aqueduct by about 500 years. Called the Cloaca Maxima, this sewer is one of the largest of the ancient sewers and amazingly, it’s still partially in use. Public latrines had 20 seats arranged in a single room while water constantly ran beneath them to carry waste to the nearest sewer. Speaking of the system of aqueducts, they were considered among the most imposing Roman engineering accomplishments, bringing water from mountain streams as far as 50 miles away, sometimes channeling underground, sometimes rising on piers that was an engineering marvel for the era. Not only was there a steady supply of water, they heated it with furnaces for comfortable bathing. Just as impressive was the infrastructure built to distribute the water to various neighbors. The Romans had an ingenious device called a “water castle” that took water in bulk and, through a revolving interior, diverted it to channels branching off in various directions. By 52 A.D., Rome boasted an estimated 220 miles of aqueducts, pipes, and water channels to supply public baths and wells, as well as water to the homes of the well-to-do. The Romans were also known to use lead pipes, which made vast improvements in sanitary conditions. These advances in plumbing were not limited to the city of Rome. 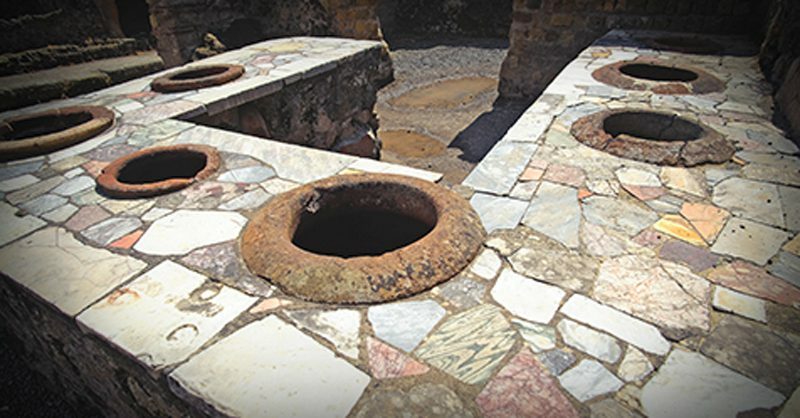 In the ruins of Pompeii were discovered ancient water spigots and water closets flushed by water from a cistern. Included are metal hinges that archeologists believe attached to wooden seats that have since deteriorated. In fact, the Romans spread their know-how in plumbing to other parts of their empire, specifically near Bath, England, where the Roman emperor Claudius developed the hot springs of Aquae Sulis in the image of the great baths of Rome. However, when the Roman Empire collapsed in the 5th century, their plumbing advances also fell by the wayside and Europe descended back into the world of outhouses and chamber ports for the next 1,500 years. From this point forward, the history of plumbing took a break that lasted about a millennium and a half. Rome was conquered by a sequence of roaming barbarians who tended not to stay in one place long enough to grasp the need for sanitary plumbing. Civilization reeled and regressed. Sanitation technology reverted to its basest forms. By the Middle Ages, the “hot houses” or ‘stews” of the Roman baths continued to carry the stigma of debauchery and wild parties. During the reign of Richard the Lionhearted, the little rooms or “bordellos” of the baths became synonymous with brothels. During this period, the architect of a monastery or castle might occasionally have the forethought to locate the facility above a stream. This would provide a constant supply of running water and enable privies to be built. Unfortunately, this is what would pass for state-of-the-art plumbing in the Western world for about 15 centuries following the fall of Rome. As the Industrial Revolution spread over Europe and America, cities became congested, unsanitary hellholes. Allegedly, the English term for a privy, “loo,” evolved from a mispronunciation of the French expression, gardez l’eau (“watch out for the water”), the cautionary plea of tenement dwellers as they poured their chamber pots on the streets outside. Fortunately, plumbing technology made a comeback and helped usher in the Western world into a cleaner and more informed era. London began experimenting with providing fresh water to the city in the 17th century. In Versailles, King Louis XIV order construction of a cast-iron man plumbing line. It was designed to carry water about 15 miles from a pumping station to the palace fountains and surrounding area. Fun fact: John Harrington, godson of Queen Elizabeth I and the inventor of the flushing toilet, apparently gifted the queen with the first flushable toilet. It is said she was too scared to use it because it made a terrible rushing water sound. By the early 1700’s, New York City had constructed its own wooden pipe system, with fresh water sold at pumps or hydrants. However, most early waterworks systems could not keep up with the demands of the nation’s burgeoning population, at least not until the early 1800’s when innovative steam power led to pumps that dispensed water far more successfully than water wheels. In 1804, Philadelphia earned the distinction as the first city in the world to implement cast iron pipe in its water mains. It was also the first American city to build large-scale waterworks as it extracted water from the Schuylkill River. After the Great Fire of New York City in 1835, more efficient water systems were created that would be better able to accommodate a growing population. The Croton Aqueduct System was a New York City accomplishment completed in 1842 successfully brought water to the city’s buildings and became the model for city plumbing infrastructure all over America. In 1848, the English Parliament passed the Public Health Act, which would become a model plumbing code for the world. It mandated some type of sanitary arrangement in each home whether a flushing toilet, a privy or an ash pit.The government also released money for sanitary research and began to build a sturdy sewer system. With this new infusion of money, inventors would begin to improve upon the toilet first introduced by Harrington. Fun fact: Did you know that you could tell a person’s social class in Britain by their chamber pot? Working class chamber pots were copper, while the wealthy used pure silver ones. Plumbing fact: There are sections of communities throughout the U.S. that still have wooden pipes as part of their drinking water systems. Even with improvements in the distribution of clean water, sanitation, however, still had a long way to go. Outhouses would remain the norm until well into the latter half of the 19th century. No doubt, indoor plumbing had captured the imagination of isolated inventors and engineers. In 1829, a brilliant young architect, 26-year old Isaiah Rogers, sent currents of amazement throughout the country with his ground-breaking Tremont Hotel in Boston. It was the first hotel to feature indoor plumbing and became the archetype of a modern American hotel. The four-story building boasted eight water closets on the ground floor at the rear of the center court. Five years later, Rogers built the Astor House in New York City, featuring six stories with 17 rooms on the upper floors with water closets and bathrooms to serve up to 300 guest rooms. Outside a few private homes, hotels were the strongholds of luxury and comfort – and indoor plumbing. By the late 1850’s, however, most new homes were built with separate indoor bathrooms, but plumbing pros had yet to perfect the system, meaning lots of sewer smells leaked into the rest of the home, coupled with plenty of back-pressure problems. In 1857, Engineer Julius W. Adams provided the framework for modern sewerage. Adams was commissioned to construct a new sewer system for the city of Brooklyn, which then covered 20 square miles. There was no data available in proportioning sewers for the needs of the people. Yet, working from scratch, Adams developed guidelines and designs that made modern sanitary engineering possible. More importantly, he published the results. By the end of the century, his how-to textbooks would be available for towns and cities to use all across the country. In 1874, it was proved that by connecting a vent pipe to the drain at the trap outlet, the air pressure was kept the same. Why was this important? This prohibited offensive odors and sewer gases from escaping at fixture waste outlets. By the turn of the century, laws were being passed in many parts of the U.S. requiring plumbing systems to be installed with a minimum number of fixtures. The water closet was invented in the early 1900’s as the U.S. Patent Office received 350 applications for new water closet designs, including the first siphoning water closet that would become the standard. Despite such setbacks, the pieces of the puzzle of good plumbing were finally coming together – proper venting, waterworks and sewers brought the closet indoors to stay. Add to this the mass production of fixtures, fittings and valves, making them affordable and available for everyone. In a 25-year period, from 1929 to 1954, sales by distributors of plumbing products and heating equipment rose from $500 million to a whopping $2.33 billion, a 350% increase. According to the Plumber.com’s history of plumbing in America, the U.S. would go on to create standards and issue regulations for health and safety in plumbing and sewage that still lead the world today. Contact the plumbing professionals at J&A South Park for all of your modern day plumbing needs!